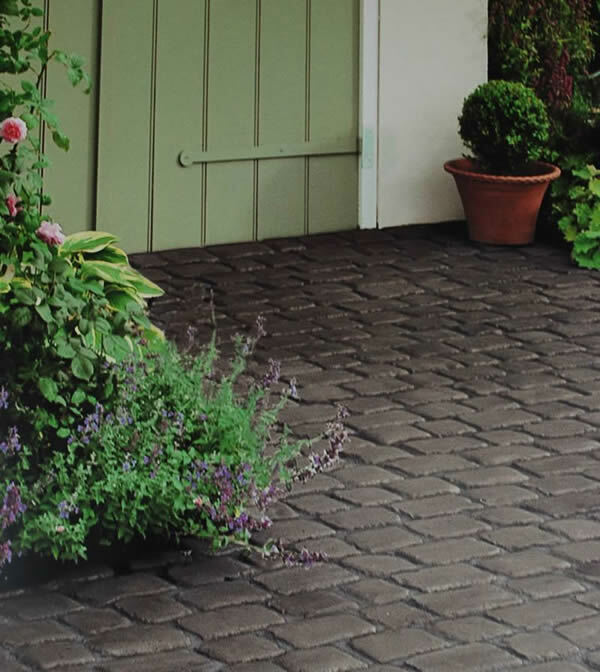 A driveway, block paving, paving, patio, courtyard, carpark, carport, foothpath product for useage on garden design Devon, landscaping, hard landscaping, landscapers, driveway contractors, patio installers and paving installation projects throughout Devon, Cornwall, Dorset and Somerset. Marshalls Cobbletech driveway paving block paving product is completly exclusive to the 1050 or so Marshalls Register members throughout the UK, only. This stunning replication of the old style cobblesett is a revoultionary break through for landscapers, garden designers, home owners looking to have their projects landscaped or a new Suds complient driveway or patio in the county of Devon, Cornwall, Dorset or Somerset. You cannot purchase this product from any landscaping merchants or directly from Marshalls them selves. The Marshalls Cobbletech has been designed to create a realistic, antique cobble look which will enhance a wide variety of house types from established period properties in and around the Devon coutryside to the modern contemporary town house, barn conversions and new build properties, office parking areas and the large american stable floors. Each cobble-look block has been formed using moulds created from carefully crafted stone masters to create a real alternative to the natural stone setts and is virtually impossible to detect the difference with an untrained eye. As with all Marshalls products installed by us, Marshalls will guarantee the product for 10 years and my extremly high quality workmanship for 5 years, Now thats serious confidence in the product and their extensive reaserch!! 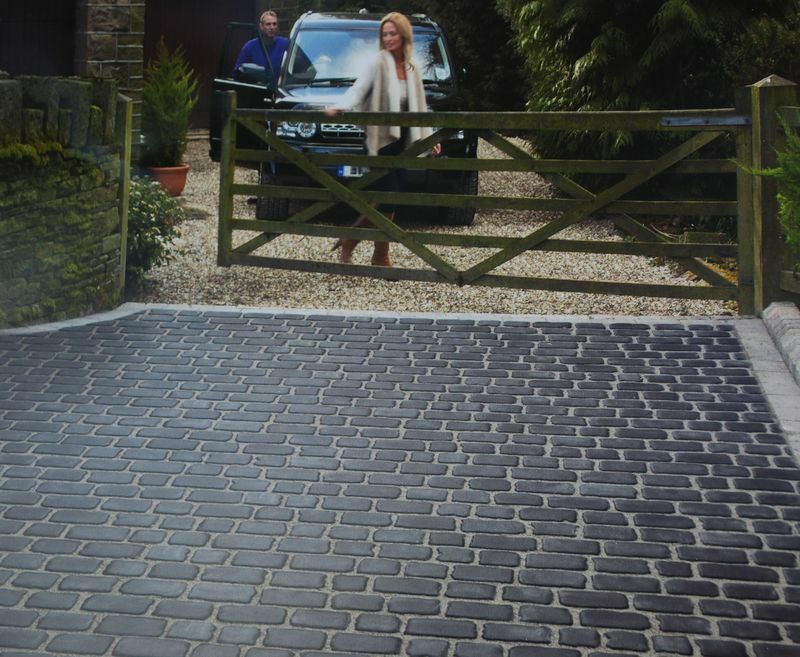 The Cobbletech is a cost effective way to achieve an extremely attractive natural stone-look with out a natural stone price tag, the block paving driveway cobbletech patented contour base allows the units to be installed in much the same procedure as the traditional concrete block paving. 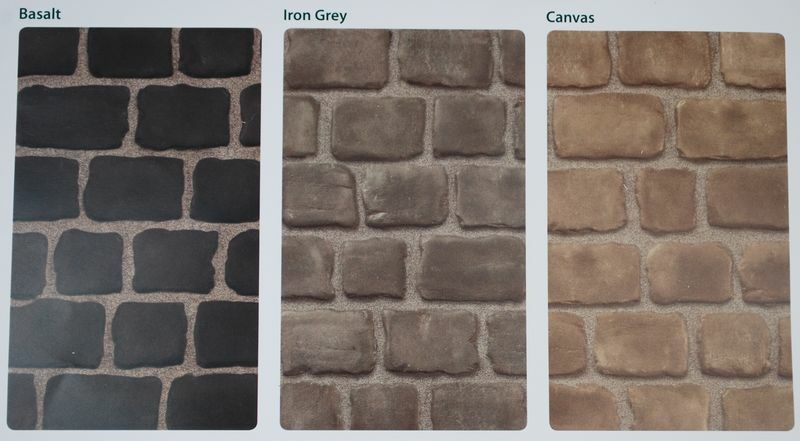 There are three complimentry colours to choose from, Basalt, Iron Grey and Canvas. 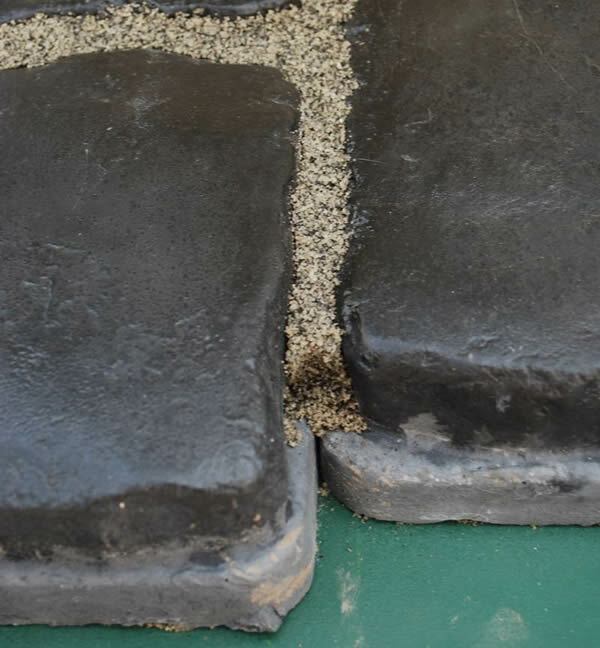 With five block sizes in each pack ensures a random authentic look and incredibly versatile, with each pallet of block paving you will exspect the basalt or buff coloured jointing compound to be included in pre mixed 15kg tubs. If your looking to have your driveway, patio, garden or court yard really stand out with the unique Cobbletech block then feel free to contact me for further information and discuss the complete quality installation service we can provide for you.